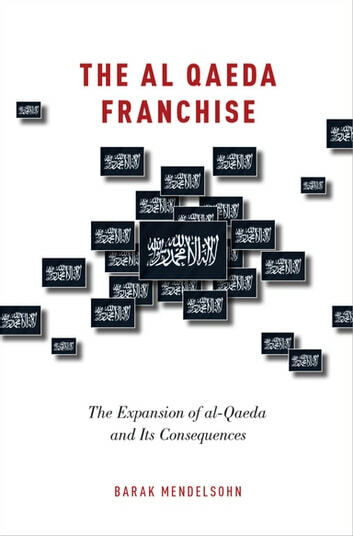 The al-Qaeda Franchise asks why al-Qaeda adopted a branching-out strategy, introducing seven franchises spread over the Middle East, Africa, and South Asia. After all, transnational terrorist organizations can expand through other organizational strategies. Forming franchises was not an inevitable outgrowth of al-Qaeda's ideology or its U.S.-focused strategy. The efforts to create local franchises have also undermined one of al-Qaeda's primary achievements: the creation of a transnational entity based on religious, not national, affiliation. The book argues that al-Qaeda's branching out strategy was not a sign of strength, but instead a response to its decline in the aftermath of the 9/11 attacks. Franchising reflected an escalation of al-Qaeda's commitments in response to earlier strategic mistakes, leaders' hubris, and its diminished capabilities. Although the introduction of new branches helped al-Qaeda create a frightening image far beyond its actual capabilities, ultimately this strategy neither increased the al-Qaeda threat, nor enhanced the organization's political objectives. In fact, the rise of ISIS from an al-Qaeda branch to the dominant actor in the jihadi camp demonstrates how expansion actually incurred heavy costs for al-Qaeda. The al-Qaeda Franchise goes beyond explaining the adoption of a branching out strategy, also exploring particular expansion choices. Through nine case studies, it analyzes why al-Qaeda formed branches in some arenas but not others, and why its expansion in some locations, such as Yemen, took the form of in-house franchising (with branches run by al-Qaeda's own fighters), while other locations, such as Iraq and Somalia, involved merging with groups already operating in the target arena. It ends with an assessment of al-Qaeda's future in light of the turmoil in the Middle East, the ascendance of ISIS, and US foreign policy.